What’s the difference between 1st AC and Unreserved 2nd Class? What’s the Indrail Pass? What can a hundred rupees note get you with the Train Ticket Examiner? (Answers: Air conditioning and a bunk, unlimited train pass for a period of time, a seat on a full train). 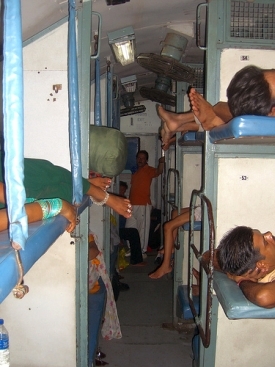 For a few more insights, including the best way to book and what not to eat, check out BootsnAll’s guide to India train travel.